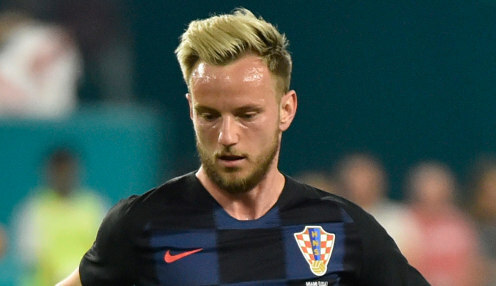 Croatia midfielder Ivan Rakitic has pledged his future to Barcelona, saying that it was an easy decision to reject offers to head out of the Camp Nou. The 30-year-old spoke to the Spanish media after helping Barca make it two wins out of two in La Liga with a tense 1-0 victory at Real Valladolid, with Rakitic having been the subject of much speculation before the game. This is the best club in the world, there's no place in the world where I would be better off. However, the schemer, who helped his country reach the final of World Cup 2018 earlier this summer, was happy to reject any offers on the table and stay put with the Catalan giants. He told reporters: "There were several clubs that asked about signing me. "I spoke about everything with my wife and my agent. We reflected on things and, in the end, the decision was an easy one. The most important thing for me is that I want to be here. "I'm staying at Barcelona. I've had four spectacular years here and it's a privilege to defend this badge. I hope I can keep doing so for many years. "There wasn't one (particular) thing that convinced me to stay. This is the best club in the world, there's no place in the world where I would be better off." Rakitic joined Barca in the summer of 2014 from domestic rivals Sevilla, having previously played for FC Basel and Schalke. He has made well over 200 appearances for the Blaugrana, helping them to three Spanish league titles, four Copa del Rey successes and Champions League glory in 2015. Barca are priced at 6/4 to win the Champions League again this season, with Real Madrid 12121/1 and Juventus available at 12121/1.